The kindness and generosity of total strangers is something to be celebrated and shared. 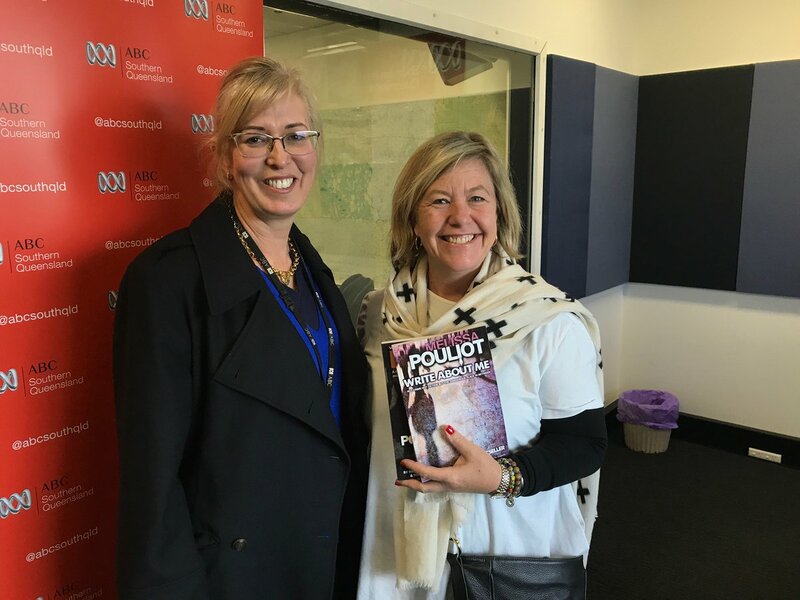 Two women from Toowoomba dedicated over 11 minutes of airtime on ABC Southern Queensland to me and my debut crime novel Write About Me. They were having a conversation about the Unleash the Beast event on Wednesday 10th October 2018 that I’m part of for World Mental Health Day. I feel so blessed – thankyou Emma Mactaggart and Belinda Sanders! Have a listen – Emma loved Write About Me and says so many lovely things which is a huge boost for me to keep writing! !